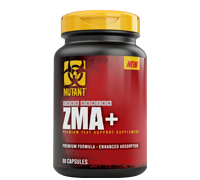 MUTANT ZMA+ contains proven levels of zinc, magnesium and B6 that were shown to increase anabolic hormone levels in athletes; researchers reported that athletes taking those 3 nutrients experienced more than a 30-percent increase in testosterone levels, and about a 5-percent increase in levels of insulin-like growth factor 1 (IGF-1). 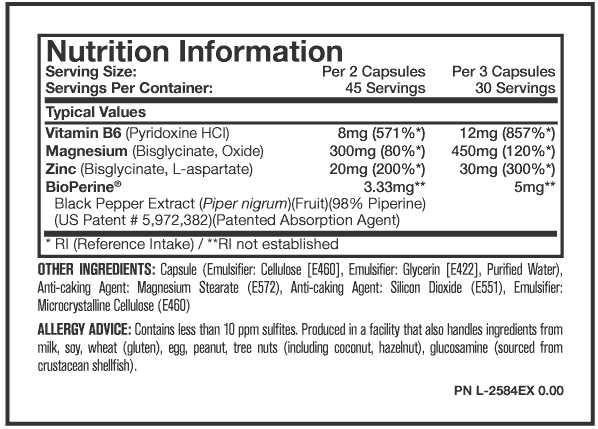 Recommended Use: On training and non-training days, take 2-3 capsules at night before bed on an empty stomach with 250 mL of water. Use for 8 weeks followed by a 4 week off-cycle.